I did a post yesterday about the L'occitane Almond Body Oil and because I love it so much, I did a bit of shopping on the L'Occitane website. While shopping I decided to pick up a little something for a blog giveaway. This little set has 4 of the Essentials from L'Occitane's extensive collections. This prize is not sponsored by L'Occitane. It was bought and paid for by me. Daily tweets are allowed and each one will count as an entry, just remember to come back to this post to log it in the gadget. Competition closes on 9 August and the winner will be announced on Sunday 10 August. Winner will be announced on this blog and contacted via email or twitter depending on contact details submitted in the Rafflecopter gadget. The winner has 48 hours to respond to the email. If no response is received I will draw another name. Due to postage costs, only South African entries will be accepted. Would love to try the Shampoo and Conditioner! 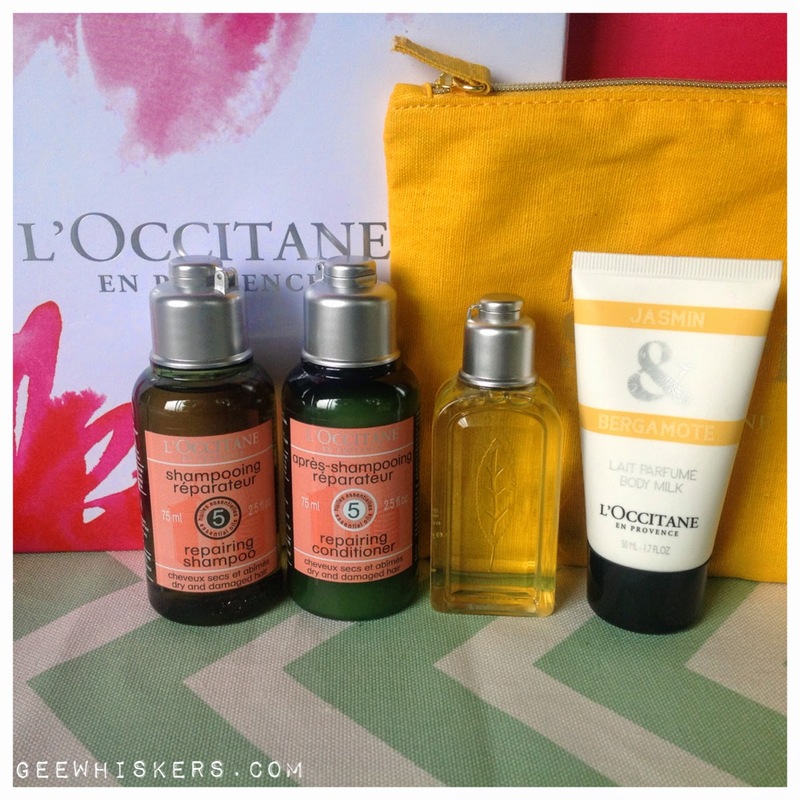 Such a nice giveaway, I love L'Occitane! Fabulous products! Always a problem to source in my part of the world! Would love to try them. Holding thumbs! What a great giveaway! This is exquisite!!! This treat simply shouts "ME TIME". My Twitter handle is @Roxi_23 and I would love to win!